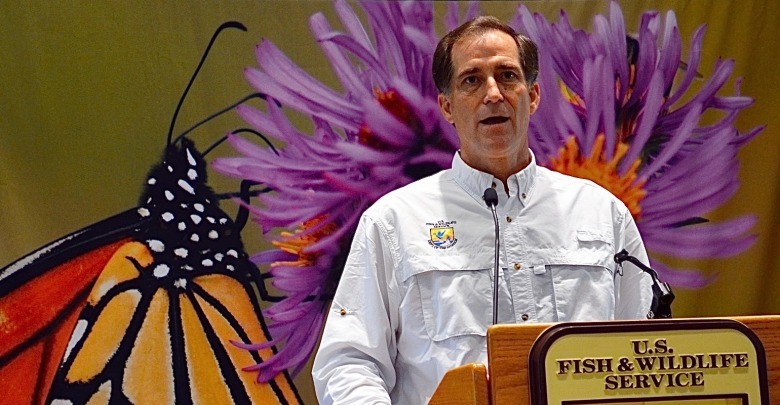 Conservation is about enjoying and protecting nature wherever we find it, Dan Ashe says. And the conservation movement, if it is going to endure, must embrace an audience far broader than just hunters and anglers. 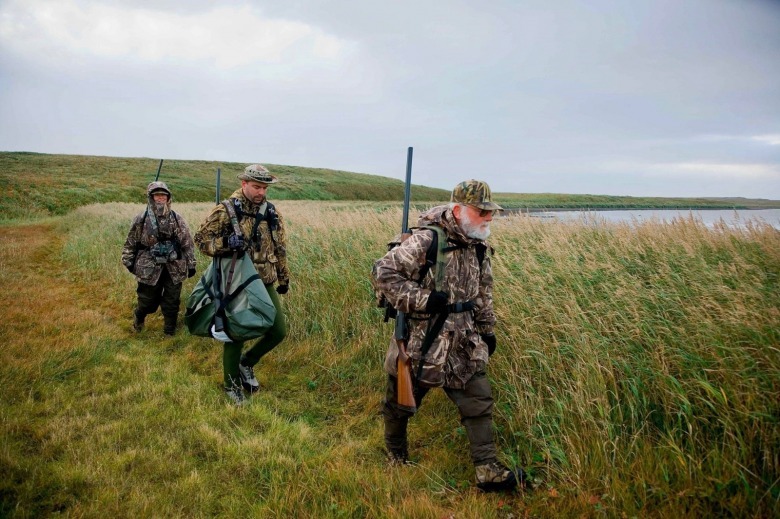 EDITOR'S NOTE: Dan Ashe, former national director of the US Fish and Wildlife Service, has in recent days weighed in with a joint editorial, comprised of several outdoor writers and conservationists, saying hunters need to embrace sensible gun regulations. He also has given speeches on how declining numbers of hunters, and thus less license revenue, demand a new model for funding professional wildlife management. With Ashe's permission, Mountain Journal shares this recent essay. We are at a make-or-break juncture for wildlife conservation. It’s time for leaders to lead. I’ve presented versions of these thoughts in several venues, including a keynote address at a recent North American Wildlife and Natural Resources Management Conference, and the Theodore Roosevelt Conservation Partnership Media Summit. I've received dozens of emails, like this one, from a sportsman and long-tenured leader in the conservation community: "... just read your referenced remarks out in Colorado [at TRCP Media Summit]. Great insight from a tremendous depth of experience, foresight and vision—bravo and kudos for articulating the message all aspects of the conservation community needs to hear and embrace!" Honestly, I didn’t and don’t think they’re that revolutionary, but in retrospect, perhaps they’re revealing in the same way that Toto revealed the true nature, vulnerability, and fraudulence of the Wizard of Oz, by simply pulling back a curtain. First, and briefly, the nature of the challenge that we face today, and will increasingly face tomorrow. Second, a growing and disabling dysfunction in the conservation community. Third, a specific and tragic symptom of that dysfunction—the growing irrelevance of conservation. So, first things first. And many of you have heard me say this before. Our challenge in conserving wild creatures is human ecology—the world’s dominant, disrupting ecological force. Today, we share the planet with 7.3 billion other people. By mid-century, we will be approaching 10 billion. And it’s not just our growing numbers, but our expanding affluence. More of the world’s population will be more like us, with increasing access to things like electricity, education, transportation, and health care. We will demand more fuel, more fiber, and more food, and we will consume more of the planet’s ecological space. And though we would wish it were not so, that means less and less for the rest of what we collectively call biodiversity. So, continued success will require that we become smarter, faster, and stronger. Better focused. More unified. Collectively determined. Unfortunately, we’re headed in the opposite direction. As a community, we have a significant, growing, and disabling dysfunction. We are increasingly viewing ourselves as an island in a rising and roiling sea of social transformation. We are attempting to armor ourselves against its tremendous tides of change. We are reflexive, defensive, and increasingly angry, at the proportion of the population that just doesn’t get it. The inconvenient truth, however, is that the don’t-get-it-crowd is a lot bigger and growing, while we and our island culture are, again, moving in the opposite direction. So, easy things have become hard. Hard things are now impossible. Case-in-point is what we call a "Sportsmen's Bill." And this is not a criticism of the Congressional sponsors, because they are responding to us. We are the problem. This is our dysfunction. Rome burns ... prairies are in crisis ... Asian carp assault the Great Lakes ... Burmese pythons strangle the Everglades ... Elephants, rhinos, and other wildlife are decimated by a global epidemic of trafficking ... state and federal refuges in California (anchors of the Pacific Flyway) are starved of water ... mule deer are disappearing from large expanses in the West ... every native trout species is imperiled ... grassland birds are declining precipitously ... and on, and on. And we ask Congress to address the import of 41 polar bear trophies, killed in 2008, in the name of sportsmen. The Land and Water Conservation Fund expires. But, in the name of Sportsmen, we ask Congress to exempt lead bullets from Toxic Substances Control Act regulation, well knowing that lead bullets are not being regulated by TSCA. And then, just a few years ago, we witnessed the armed, illegal occupation of Malheur National Wildlife Refuge by extremists who deny the legitimacy of federal and state government, and the entire concept of public lands held in trust for the American people. I’ll pause here to recognize the national conservation organizations who stood up and spoke out publicly against the occupation at Malheur: the National Wildlife Federation; National Wildlife Refuge Association; Theodore Roosevelt Conservation Partnership; Trout Unlimited; Backcountry Hunters and Anglers; Defenders of Wildlife; Center for Biological Diversity; and the Audubon Society. Read the list of groups again. If your favorite national conservation organization is not listed here, it's because they chose to do nothing at that crucial moment. The great parliamentarian Edmund Burke said: "The only thing necessary for the triumph of evil is for good men to do nothing." It has never been more important for good men and women, and their great organizations to act to defeat the cancer that is growing in Congress, state legislatures, and county commissions across the nation. Our ability to conserve and protect our public lands and native wildlife is being steadily undercut by politicians hostile to the very idea of public trust. They are not conservationists. These ideologues are waging a relentless campaign to undermine the legitimacy of public lands, public resources, and wildlife held in trust for the public. They want the federal government to divest hundreds of millions of acres of public land—not for sportsmen or women—but for economic development, private use, and corporate profit. They’re doing what we used to do so well. They’re playing the long game and their larger aim is succeeding—undercutting public support and confusing the issue for voters. The Malheur occupation didn’t occur in a vacuum. It happened because there are people—many of whom occupy positions of power and influence across the West—who share their values and beliefs, even if they recoil at their methods, for now. Which brings me to my third point. Conservation is increasingly irrelevant in today's changing American society. Relevance is the noun form of the adjective relevant, which means important to the matter at hand. To us, and our predecessors—anglers, hunters, and outdoor enthusiasts who include non-consumptive enjoyers of wildlife—conservation has been relevant because it sustains the things we care about. The matters at hand. But fewer and fewer people are fishing, hunting, and spending time outdoors. 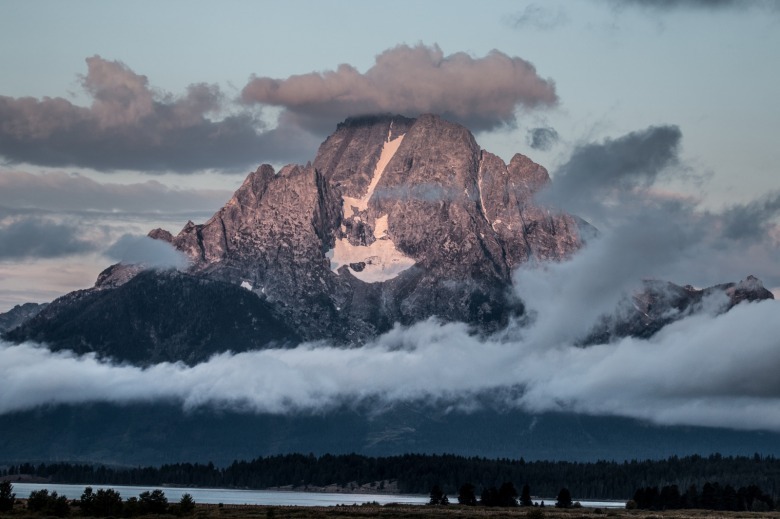 Wildness in the Greater Yellowstone Ecosystem and the people who enjoy and appreciate it live in a rare bubble that is not mirrored in the rest of the country. More than 8 in 10 Americans dwell in urban and suburban environments. And urbanization is accelerating. The nation will soon be made up of a majority of minorities. We—you, me, our organizations, our profession, our community—do not look like broader America. We do not, therefore, think like broader America. How then can we even understand, let alone achieve what is important to the matters at hand in a changing America? I asked the 1300-plus attendees at the North American Conference to count ten people around them. I then asked them to raise a hand if at least four of those people were women. Yes, 51 percent of Americans are women. About 20 hands went up in the room. Ouch! That's irrelevance. Then, I asked them to raise a hand if at least four of those people were not Caucasian (i.e., white). 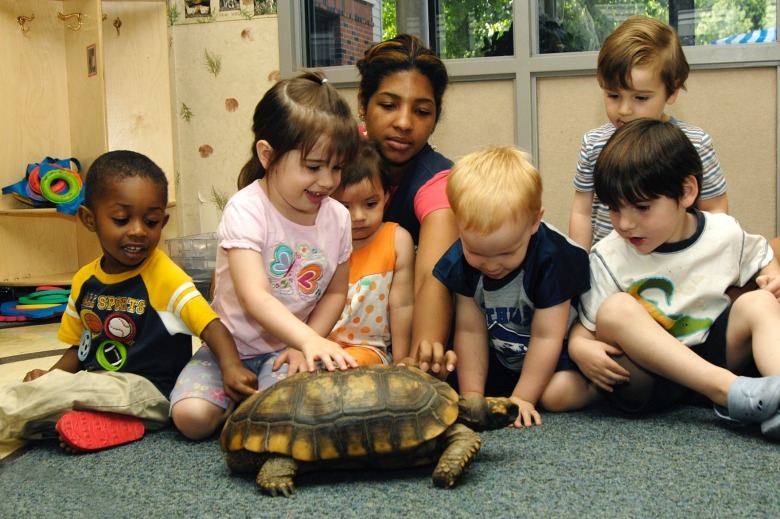 Around 40 percent of Americans are minorities, and more than 50 percent of today's children. One hand was raised up. Double-Ouch!! This is a crisis for conservation. We simply must address it. We must change and change rapidly. And yes, change comes hard. But, as General Eric Shinseki told us, "If you don't like change, you're going to like irrelevance even less." We are seeing the early stages of irrelevance with the fate of wild lands, public lands, and a wildlife heritage that belongs to all of us. We need to embrace rapid and revolutionary change. We have to break out of the disciplinary silos that we built, and that served us so well, in the 20th century. We can't do 21st-century conservation if we see the world divided into fish, wildlife, range, and forestry. We have to unite these great disciplines and see conservation in a larger context, and design conservation on a larger scale. We have to have zero tolerance for politicians, at all levels of government, who support divestiture of public lands or who try to politicize hunting and fishing. No candidates should be able to call themselves sportsmen or expect the vote of sportsmen unless they defend, loudly and at every turn, the benefits and importance of public land ownership and professional stewardship. During the GOP national convention in 2016, we learned that the Republican Party Platform—the party of Teddy Roosevelt—has endorsed the disposal of federal public lands—our lands. It's no secret that I was nominated to be U.S. Fish and Wildlife Service director by President Barack Obama, or that I'm a registered Democrat. I am also a lifelong hunter, angler and gun owner. So I'm sure that some may accuse me of being political for pointing this out. But those who know me know that I'm no political partisan, and my 36-year professional career in conservation speaks for itself on that point. Pointing out facts is not partisan. I've always tried to be a good man, and good professional, and I'm not going to sit and do nothing. Here's what the GOP platform says: "Congress should reconsider whether parts of the federal government’s enormous landholdings and control of water in the West could be better used for ranching, mining, or forestry through private ownership ... The enduring truth is that people best protect what they own." Read it yourself. The real truth is, the people do own these lands and waters. The people are us, together. And good, professional public servants manage them for public benefit, not private profit. It's another election year, and we need a true Sportsmen's Platform. Not platitudes about rights to hunt and fish, or fear mongering about threats to the Second Amendment. We need politicians who will stand up for clean air and water, for the protection of habitat and all species, and stand behind professional public servants—local, tribal, state and federal—who dedicate their lives to conserving wild places and wild creatures. We need a professional ethic that unites us as a community, not a loyalty oath to a partisan agenda. Former President Ronald Reagan united his political party in the 1980s, and coined what he called the Eleventh Amendment—"Thou shalt not speak ill of any fellow Republican." We need a conservationist's Eleventh Amendment—Thou shalt not speak ill of any fellow conservationist working to protect nature. "We need a conservationist's Eleventh Amendment—Thou shalt not speak ill of any fellow conservationist working to protect nature." Sure, we disagree from time to time, but these are professional, courteous and respectful differences. Author Austin Kleon says, "Quit picking fights and go make something!" I would suggest that we replace the word "make" with "protect." Those in our community who sow seeds of anger and adversity, for political gain or personal profit over the public good, must meet with what Aldo Leopold called "social disapproval." If we let these people divide us, and play us off against each other, then we, and the resources of special places and wildlife we love will lose. How can we expect the faith and confidence of the public if we do not reflect faith and confidence in one another? Leaders must set this example and expectation. We must also diversify our organizations, our profession, and our community. Leaders must make this our collective priority. We need to set measurable goals and attain them. It's a myth that talented and diverse candidates are not available, or that they do not represent the best-and-brightest. In fact, who is the best-and-brightest at the age of 21, 25, or 29? I wasn't. We take talented people of good character, and make them the best-and-brightest by providing opportunities, welcoming them, and listening to their ideas of how conversation becomes relevant. The reality is that we look in all the same places to find talent, we do what we have always done, and we settle for what we have always gotten. We hire our friends, and friends of our friends. This has to change. It's an issue of leadership, and it's time for leaders to step up and lead. There's a new generation of conservationist out there. They're in cities; they're using iPhones and Androids; they don't hunt or fish; they've never spent a night outdoors; their skin is red or black or brown; English may be their second language. We have to find them. We have to inspire and recruit and retain them. They will be the best-and-brightest. They will make conservation relevant. We need a Joint Venture for Professional Diversity. We have to start today. And finally, we all need to embrace the words of Eleanor Roosevelt: "Every day, do something that scares you!" by which she meant to do something virtuous to benefit others in a way that pushes you out of your comfort zone. As the former boss, and the leader of the world's largest wildlife conservation organization, I'd add this: do something that scares the living hell out of your boss whoever that is. Inspire each other to do things that virtuously benefit others and the land that belongs to us. 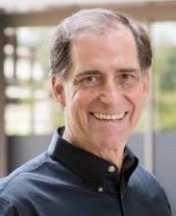 Dan Ashe is president and CEO of the Association of Zoos & Aquariums. He is former national director of the US Fish and Wildlife Service, former chief of America's National Wildlife Refuge System, former staff member of the US House Committee on Merchant Marine and Fisheries and science advisor.